Whoa! Congratulations my friend!!! I definitely want to see pictures of the newborns. I know you will make a terrific mother hen! I just have one little question, what are the color of the eggs? Easter egg colors since I am having some Ameraucana chicks. That is exactly what I was hoping!!! Ok, so will we get a blue eyed goldie baby from the blue egg and a green eyed red head beauty from the green egg? I really, really want to see pics! Oh, what fun to share this mothering experience with you, Diana! We'll have to have a baby shower for you and your chicks! Where's the Party Planner when we need her? Wonder if Mandee has ever hosted a shower for chicks? Whether she has or not, I am certain our Party Planner can handle it! How thrilling for you! A whole load of new baby chicks - I would be a nutty expectant mother myself! But, it's always good to have that fabulous manual to refer to. So glad you shared your review. 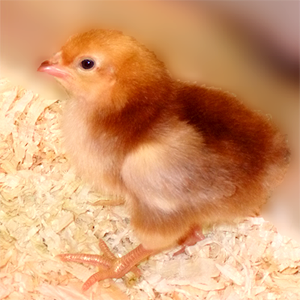 It's been years since I've been around chicks, so I am thankful for all the wonderful books and Internet resources. The photographer and writer in me will be photographing and recording every little peep. Raising chickens is way too much fun. I miss my little bantam chickies. Just remember, they're chickens and they'll figure out their own pecking order. And, let them eat dirt! Thanks, Coletta. Excellent advice. The whole pecking order thing will be hard on this mama. Maybe you need some chicks. Are they allowed in your new neighborhood? You're a hip-chick-mama! This is going to be fun, following your expectant adventures! Great review! I'm hoping you follow suit. Hint. So exciting! Congratulations "mama" and can't wait to see pics of the new chicks! My friend has had a brood of ducklings and I've been enjoying the cuteness! Am very keen to have some chooks of my own one day in the future. How exciting!!!! I can't wait to follow your new family adventures, chickie! I have always wanted chickens... I can live vicariously until I get my own.